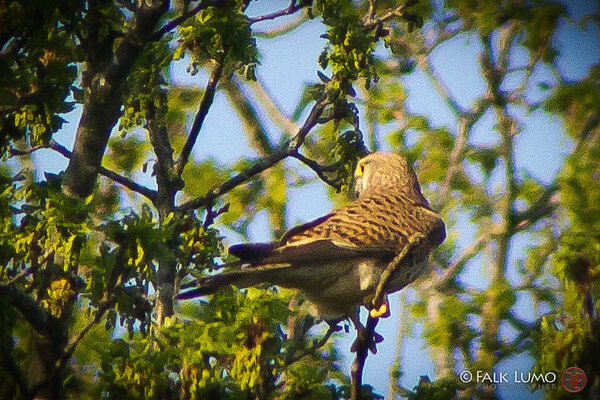 Kestrel in the wild near our garden. The 35mm-equivalent focal length is 2600 mm. Shot with a Pentax K-5 and Pentax 1.7x AF converter using a 500mm lens. Cropped to half size. The Pentax system as great as it is does still lack a super tele lens option from Pentax which is in production. This made me wonder which lens exactly Pentax should do to both fill the empty space and to attract new photographers into their system. Pentax once was famous for optically great and affordable super tele lenses such as the Pentax FA* 600mm F4 or gorgeous 645 600mm F5.6 etc. It is a shame they take so long to revive their tradition of great long glass. A Pentax DFA* 500mm F5.6 ED(IF) SDMii. Before I'll dig into details, let me explain why. First, shorter lenses don't make sense with a popular DA* 300 F4 or DA* 60-250 F4. After all, digital cameras are crop machines and need larger steps between lens options to make sense. But an even faster or longer lens becomes too expensive to be a smooth enough upgrade (as detailed below, a 600/5.6 would have to be 80%, a 500/4.5 100% more expensive). Same goes for a very long zoom lens which would become too heavy and too expensive too. Moreover, f/5.6 is really fast enough with the advent of great sensors such as the one in the Pentax K-5. A 500/5.6 lens really is the sweet spot between long enough, fast enough, not too heavy and not too expensive. And it is the missing option from Sigma, Sony, Canon and Nikon! Their product suites are all so 2000-ish! Optimized to be fast, expensive and heavy rather than the versatile resolution super weapons modern sensors need so much. D is the diameter = focal length / f-stop number. Lens elements / groups: ~12 / ~11 (e.g., like the Pentax A* 645 600mm F5.6). MTF characteristics: Blur widths below 2px in the center, similiar to DA*300, outresolving the sensor x2 ("made for cropping" (tm)). 700 mm, F7.8, phase AF supported in daylight. Wow Falk! That sounds very good. Sigh! If only pentax coud take this advice! I do beleave in this product, and with that new 1.4 TC it makes sence as a good combo. Hope they decide to bring out a lens like this! This would become my primary lens and it would stay on the camera all the time! Clever thinking, Falk , I totally agree, fine combination with the TC. Hope this come true with next Photokina..